Samantha Howell and Tristia Bauman discuss what lawyers can do to help, from recognizing and respecting homeless people they see to providing pro bono services. On any given night, 600,000 Americans are sleeping on the streets and struggling under the weight of extreme poverty. 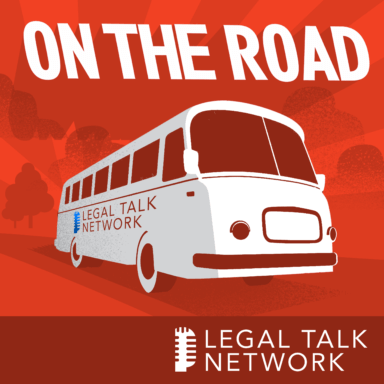 In this report from On The Road at the 2018 Equal Justice Conference, host Kimberly Sanchez talks to Samantha Howell and Tristia Bauman about the criminalization of those struggling with poverty. They discuss what lawyers can do to help, from recognizing and respecting homeless people they see to providing pro bono services. They also address some of the most prevalent issues the homeless face, from overly severe punishment of small crimes to over-incarceration. Samantha Howell is the executive director of the New York State Chapter of the National Association of Social Workers. Tristia Bauman is a senior attorney at the National Law Center on Homelessness & Poverty where she combines litigation, legal education, and legislative advocacy strategies to prevent and end homelessness.